Have you ever tried Dry Fish? It’s smell might be a little too intense for most people, but give us a chance here. 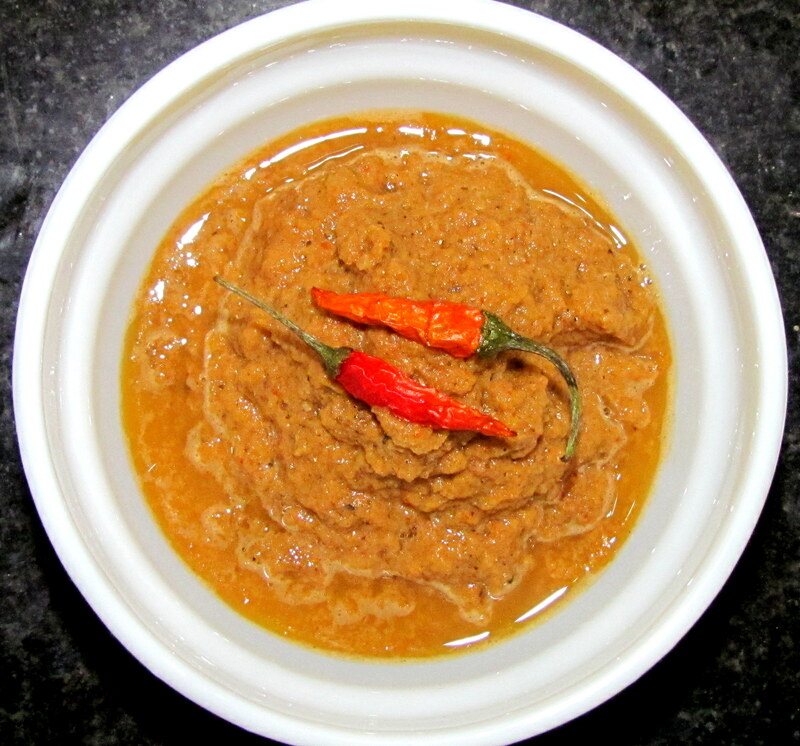 The chutney recipe that we are going to share today, might just change your taste buds and your opinion about the (smelly) dry fish! 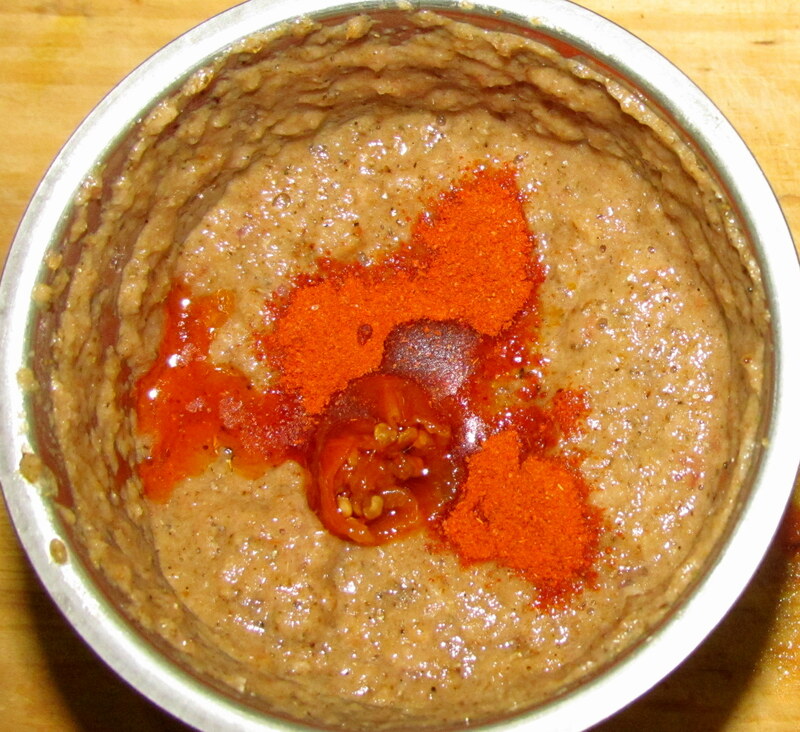 This chutney is made with king chilli preserved in mustard oil, dried fish and roasted tomato. It’s a very popular in the Northeast region, and is usually had as a side dish. Note: Infused chilli oil is made my preserving oil (preferably mustard) and King/Ghost chillies together in a glass jar/container. Place the container in a warm and dry place for a couple of days, until it’s ready to be consumed. 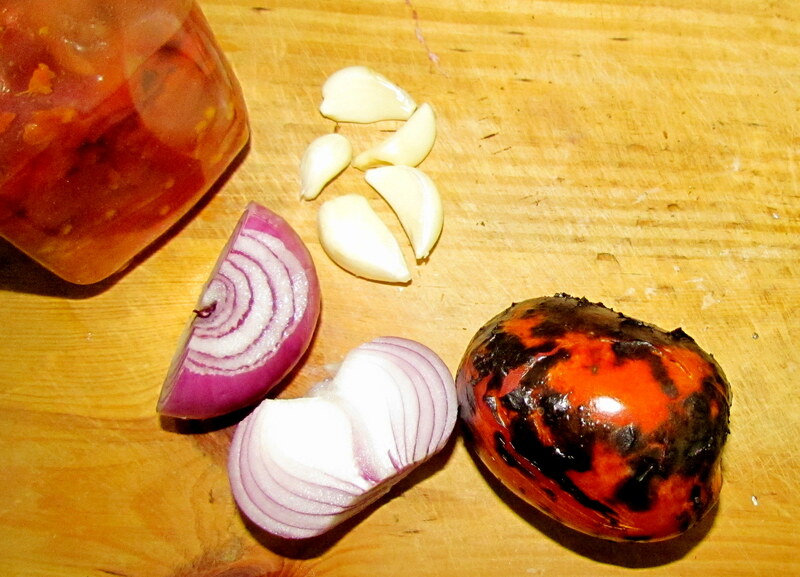 Ingredients (top left clockwise) : King Chilli infused in mustard oil, garlic cloves, onion and roasted tomato. 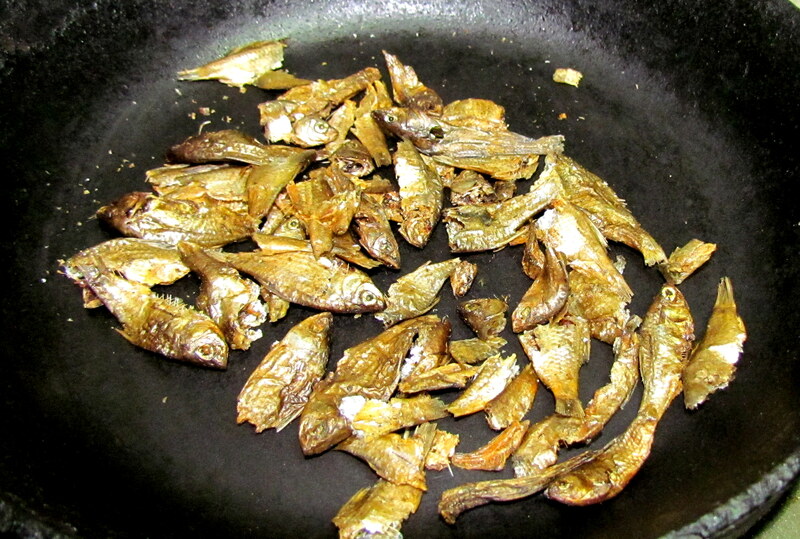 Roast the dry fish in a frying pan for 5 minutes and keep aside. Heating the fish in a pan. Roast the tomato and peel off it’s skin. Dice it and remove the seeds. In a mixer, put together dry fish, diced tomato pieces, chopped onions, ginger, garlic, red chilli powder with King or Ghost chilli infused mustard oil. Make a mixture out of the ingredients. Shift the mixture into a bowl and add in a dash of salt as per your taste. Served best with traditional Assamese delicacy- steam/cooked rice, boiled pulses, vegetable curry.